The AutoNation Cure Bowl is coming to Orlando and is more than a game. It’s a celebration of the women who are living with breast cancer today and those who will face it tomorrow. It’s a memorial of those who have lost their battle and hope for those who fight to survive. But more than that, it’s a rally cry to the world to raise awareness and help bring an end to this deadly disease once and for all. The game will be played at the Orlando Citrus Bowl on December 19th and nationally televised on CBS Sports Network. It will feature Georgia State University vs San Jose State University. Funds raised from the AutoNation Cure Bowl will directly benefit The Orlando Sports Foundation and the Breast Cancer Research Foundation. So, while you&apos;re planning on attending the game, you should also make a trip to Florida&apos;s Space Coast, Orlando&apos;s closest beaches, and stay at one of our beachside hotels in Cocoa Beach. To find out more details about the game or purchase tickets, visit the AutoNation Cure Bowl website. 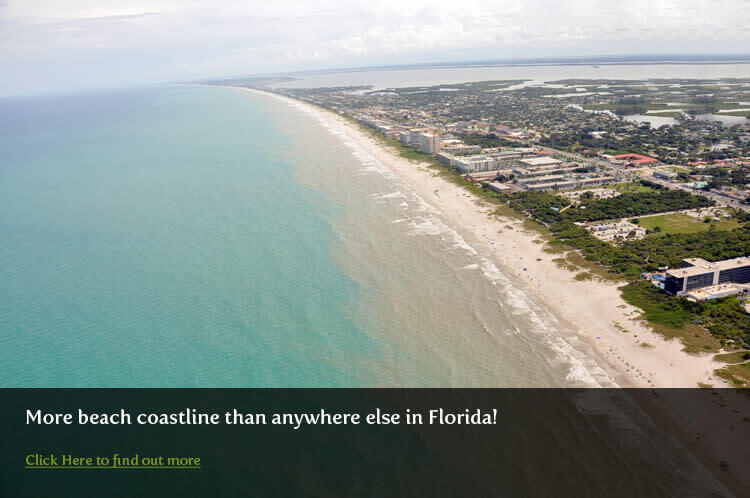 Only one hour from the Citrus Bowl, the Space Coast has 72 miles of beach coastline to choose from. We&apos;ve got it all, from the secluded and naturally beautiful beaches to well manicured family beaches with amenities galore. If seclusion is what you want, try Playalinda Beach, which was recently voted as he fourth best beach in Florida by USA Today&apos;s 10Best Reader&apos;s Choice. Head down to the Cocoa Beach Pier if you want a taste of classic surf town americana. An iconic historical landmark, this beach has all of the amenities you could want, from sand volleyball courts, beach rentals, bathrooms and showers, and full bars and restaurants on the pier itself. If surfing is what you want, look no further than the Sebastian Inlet, the best surf break in Florida. Every great surfer that has come out of Florida knows that if you can tackle First Peak, you will be hooked for life. Kelly Slater,the 11-time world champion and Cocoa Beach native, picked Sebastian as one of his top ten favorite surf breaks in the world. 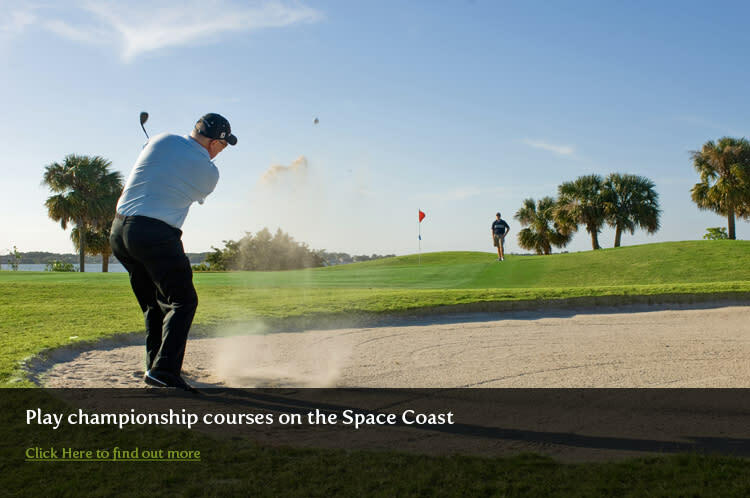 The Space Coast is home to some of the best championship courses in the state of Florida. The Cocoa Beach Country Club is one of the finest around. Comprised of three 9-hole courses that are surrounded by the Banana River Lagoon, this beautiful course has excellent variety for the recreational golfer. The Duran Golf Club is one of the best courses on the Space Coast. Voted the "Best Public Course" in the area and Top 50 in the country for practice ranges, the Duran Golf Club defines great golfing experience for those who live for golf. There are not a lot of things better than sitting on the water with a refreshing tropical drink in your hand, or enjoying some live music and fresh seafood on the deck while Cruise ships roll by. 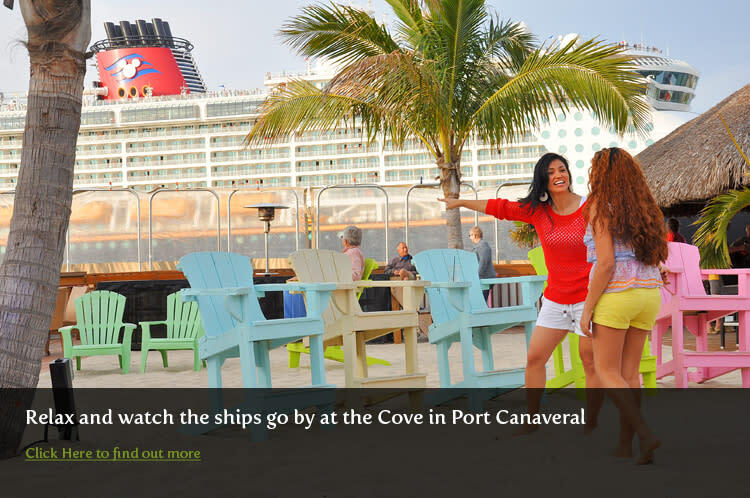 Luckily, you won&apos;t have to choose, because the Cove in Port Canaveral has all of it. Indulge in some fresh seafood at Grills Seafood Deck & Tiki Bar or Fishlips Waterfront Bar & Grill that is straight from the docks, which happen to be about 10 feet away. Go to Milliken&apos;s Reef and enjoy some live music and drinks at the outdoor bar, which has a sand deck so you can still have that beach vibe. Feeling a bit more adventurous, rent a charter boat and take a fishing trek out on the Atlantic Ocean.